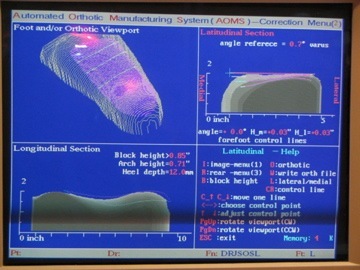 Custom foot orthotics begin their journey with a 3D image of your foot and wind their way thru the lab until they emerge at the end of the production cycle, ready to keep you healthy and mobile! So follow the process with us! 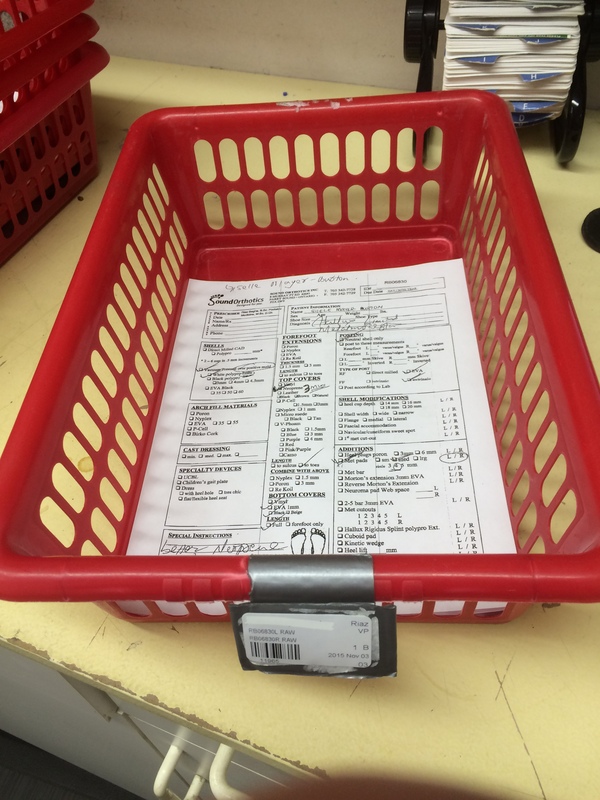 This area receives your custom work order along with your 3D foot/cast scan and makes certain that the order is clear and the scan is good. It is mandatory to have a good 3D scan of the foot but the final orthotic is not an exact duplicate of your foot. Your clinician is trying to meet certain biomechanical and accommodative goals for you and we are here to help meet those goals. The designer will carefully sculpt the shape of the orthotic taking care to grade the length and width of the shell as well as the arch height. Once the design is finalized, the CNC mill will carve out the positive wooden mold needed for production. The positive wooden mold looks like the bottom of your foot. But remember, this shape will yield the shape of your orthotic. 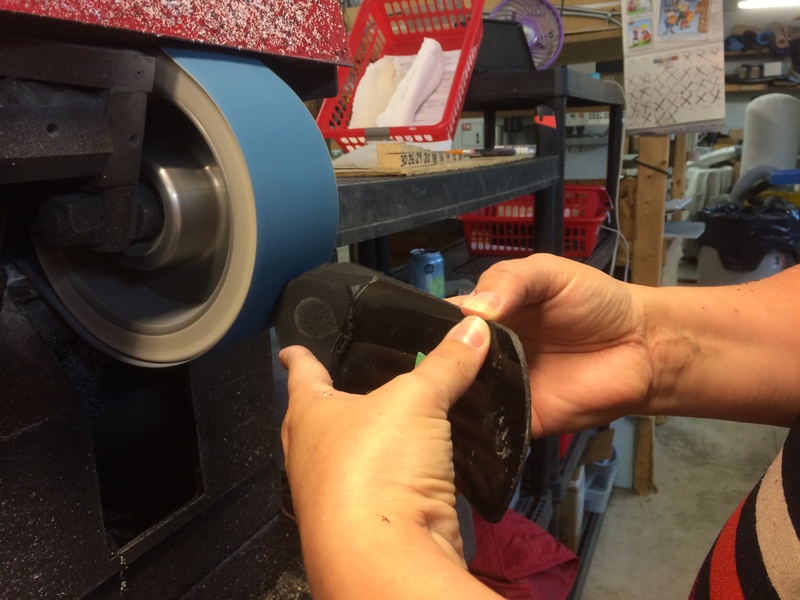 Like magic, we heat the orthotic shell material and gently place it over your positive mold. 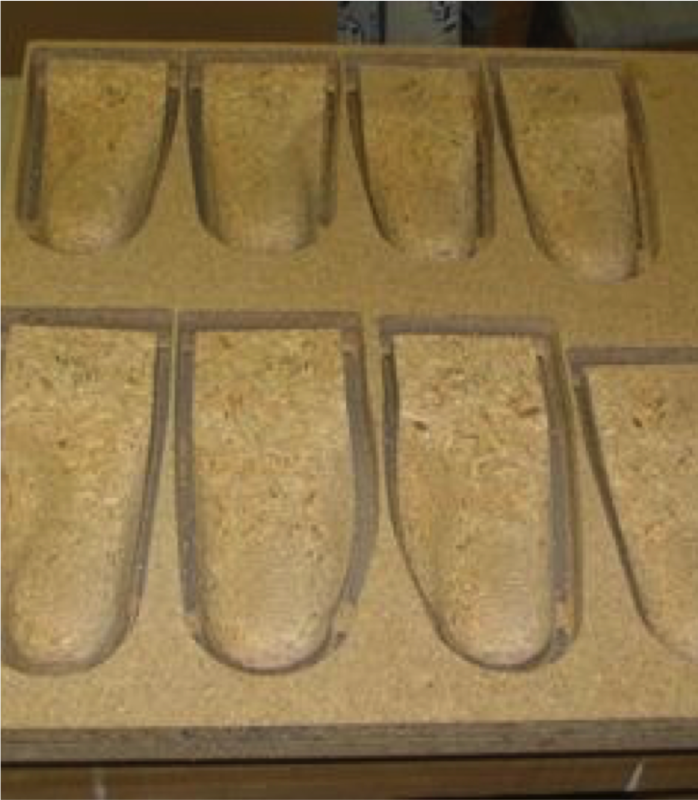 Then we vacuum press the combination, allowing the shell material to cool and take on the shape of the mold. The shell is trimmed then rough ground in the next step. Here your shell is shaped. We set the heel cup depth, taper the side and feather the front edge of the shell so you don’t feel the transition to your toes. We also look after certain special features at this stage. For example, heel holes and 1st met or ray cut outs in the shell. This is a busy station. Here we add all the rest of the additions like met pads, kinetic wedges, extensions and the rest. We glue top and bottom covers. And then finalize the shape. Each station quality assures the work done by the previous station before proceeding to the next step. 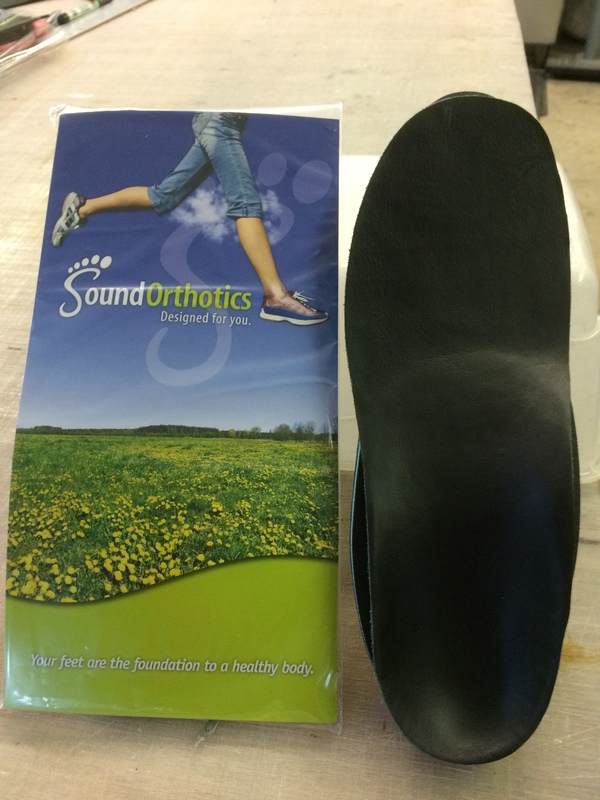 Here we do a final review of your custom foot orthotics, making sure it meets our quality standards and is exactly what your clinician ordered. We package it up and get it ready for shipping! We hope you’ve enjoyed this quick tour of our lab facilities and the processes we use to make your custom foot orthotics work for you.